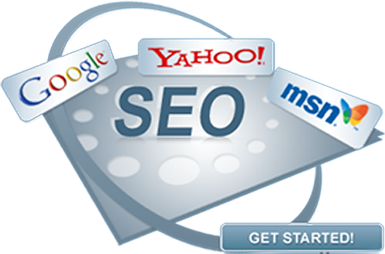 The importance of SEO hosting is increasing day by day as new websites are launched everyday. SEO hosting helps the websites to be viewed by the audience. SEO hosting makes the websites visible on the web. Since, today the competition in the world of websites is increasing, you need to hire a good SEO hosting service so that your website can stay in the competition. MNC Network Solutions offer various types of C-class IPs. Every website has a unique IP address. There are four classes of IPs and out of these C class has the highest preference. The search engine crawlers read the IPs of the websites when crawling these and if it happens to find out that two different websites have same C-class IPs then it starts to consider these websites as similar which work against both the websites. Therefore, without C-class IPs it is quite tough, in fact, impossible to maintain many different website on one system. Different C-class IPs ends this trouble. We offer many different C-Class IPs and with the help of these, you can maintain several websites on one system and the search engine crawlers won’t be able to identify that these websites are coming from the same webmaster and from the same system. This is the benefit of different C-Class IPs. You can maintain several websites on a single system. There is yet another way in which you are benefited by the C-Class IPs and SEO hosting. You can create back links from one website to another. The search engine crawlers highly esteem these back links and it will regard your websites as original and with good information. The ranks of your websites are going to raise itself in the search engine results page. If the ranking of your websites is good then definitely the purpose of your websites is fulfilled and people are going to visit your websites and hire your services which will increase your business ultimately. All this is possible because of a good SEO hosting service. MNC Network Solutions is at your service and we provide our remarkable services at very reasonable rates.